The World Of Ghilbli: Visit Kiki's Delivery Service In This Extraordinary Interactive Experience! Enter The Lands: Meet the characters and hear the story of the movie. Behind The Studio: Discover the film’s inspiration through documentaries, including new interviews with Hayao Miyazaki. 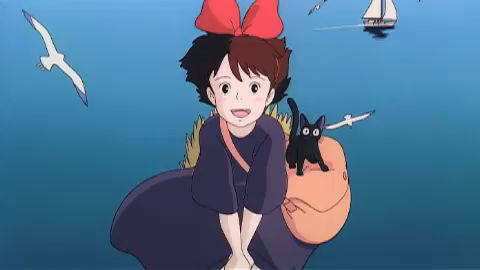 Watch Kiki make a friend in Kiki's Delivery Service. Watch Kiki's Delivery Service Leaving Home clip. Director Hayao Miyazaki discusses how he designed the setting of the city Kiki moves to. 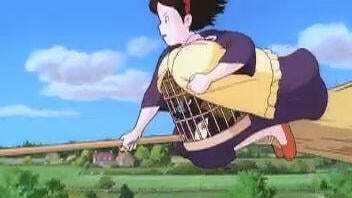 Kiki drops off Jiji as a decoy delivery package to buy some time in this scene from Kiki's Delivery Service.